As National Volunteer Week comes to a close, we bring you one more volunteer profile. Sister Marcella McHale is a Franciscan Sister of Peace who teaches English at the Passaic Neighborhood Center for Women. After many years of teaching, retirement became a reality for Sister Marcella. Thinking that her skill for teaching primary grades might be useful in teaching new English learners, Sister Marcella inquired about an opening at the Passaic Neighborhood Center for Women. Although she had never taught English as a Second Language, she found that by taking a chance and using her skills and experience, she could not only teach English to Spanish-speaking students, but it could also be very enjoyable for her! She especially enjoys seeing her students make progress. She describes the Center as "a very welcoming and peaceful place for the women" and hopes to continue making a difference in the lives of the women she teaches. We thank you, Sister Marcella, for your dedication to the women of Passaic! If you are interested in volunteering at the Passaic Neighborhood Center for Women, please call us at (973) 470-0844 or email Sister Elaine at srelaine@patersondiocese.org. As we continue thanking and honoring our volunteers this week, we bring you the profile of Sister Patricia Reynolds, a Sister of Charity of Saint Elizabeth, Convent Station, NJ, and the quilting teacher at the Passaic Neighborhood Center for Women. "I am the quilting teacher at the Passaic Neighborhood Center for Women. For me, quilting is a hobby. I love teaching women a skill that women have used for centuries and seeing them develop skills they didn't know they have, especially poor women who haven't had the opportunity to do so. That's why I travel to Passaic each week. "As Dostoevsky said (and Pope St. John Paul II quoted in his "Letter to Artists"), 'Beauty will save the world.' 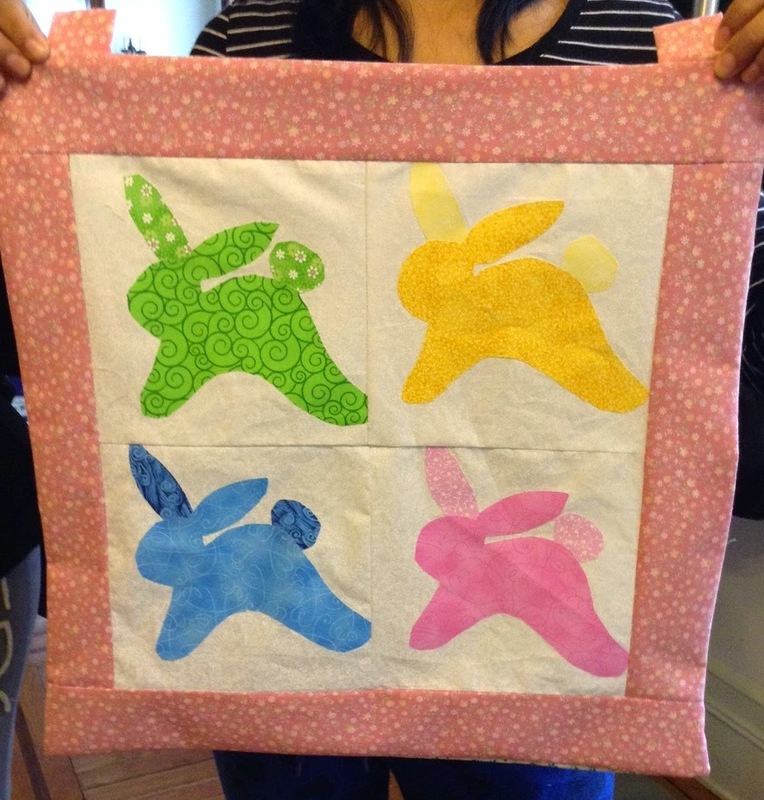 I hope that teaching our women how to craft beautiful quilts can be a small part of 'saving the world.'" Sister Pat offers this advice to anyone who is considering becoming a volunteer at the Passaic Neighborhood Center for Women: "Think about your gifts -- you may have one to share. Then, talk to God about it. Give Sister Ann Marie or Sister Elaine a call." Thank you, Sister Pat, for the tireless hours you dedicate to your quilting students in Passaic and beyond! As we continue the celebration of National Volunteer Week, today we profile Marie Mead, one of the English teachers at Passaic Neighborhood Center for Women. Originally from Jersey City, Marie is a graduate of St. Dominic Academy and Seton Hall University. Marie and her husband, Bill, have been married since October 1961. They have 4 children and 9 grandchildren. Marie's ministries include Cornerstone for Women, lector, church choir and hospitality for the homeless through the Family Promise organization. Her interests include regular physical exercise like walking, tennis, swimming, aerobics; activities of family life; meditation and reading. Marie finds volunteering at the Center to be one of the most satisfying roles of her life: "The Passaic Neighborhood Center for Women provides a delightful respite for learning and socializing, an opportunity for developing new skills and forming new relationships. I am humbled to be involved in this venture." We are so very grateful to Marie Mead for the passion and compassion she brings to her work here. 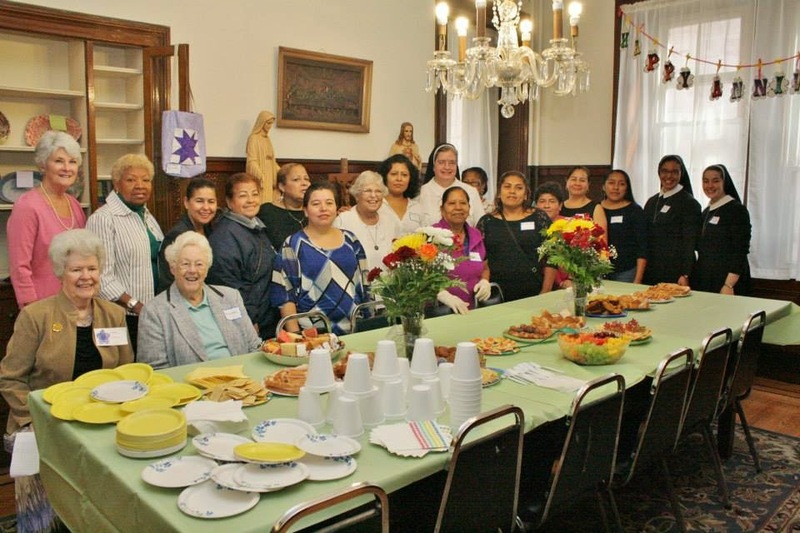 If you or someone you know is interested in volunteering at the Passaic Neighborhood Center for Women, please contact Sister Elaine at (973) 470-0844 or srelaine@patersondiocese.org. As a member of the Missionary Sisters of the Immaculate Conception, I have had the opportunity to experience the wide-ranging cultures and life situations of many peoples around the world. I know firsthand the dreams that, especially the women, have voiced to me of better lives for their children and their families as a whole. I also know the richness of what each of the cultures has for the rest of us. Ministering myself in the Brownsville diocese on the Texas-Mexico border, I have had the difficult experience personally of struggling with the language of the people with whom I lived and worked. So it is my own life experiences that cause me to treasure the Passaic Neighborhood Center for Women. I believe that the Center is a place where the women of the area can meet, share, and grow in their own lives while the lay and religious of the greater community can share their talents, also growing in the richness of the diversity found there. It is that belief that called me to be part of the group of Religious who gathered to help the Center to become reality – and when I was freer in 2013 -- to volunteer for more concrete expressions of involvement. Every time I leave the ESL class I lead, I am energized by the gift of each of the women who comes; energized not only by seeing how they reach out and help each other, but also by how privileged I am to have this opportunity to serve. It is letting the direction of the Center evolve from the expressed needs and desires of the women that has enabled it to be rooted in the neighborhood. The way that they themselves took on the planning and execution of the first anniversary celebration is a prime example of their ownership of the place and programs. During National Volunteer Week, we offer thanks to Sister Eleanor and all our volunteers! If you or anyone you know is interested in volunteering at the Center, please contact us at (973) 470-0844 or email Sister Elaine at srelaine@patersondiocese.org. Sister Mary Culhane, a Sister of Charity of Saint Elizabeth from Convent Station, NJ, has volunteered at the Passaic Neighborhood Center for Women since September 2013. Sister Mary teaches two English classes and one Art class at the Center. In addition to her duties at the Center, Sister Mary teaches grade four and five art at St. Vincent Martyr School in Madison, NJ. She is a graduate of the College of Saint Elizabeth, Convent Station, earned an M.A. in Fine Arts from Montclair State University, Montclair, NJ, and has had many years of experience teaching art in schools throughout New Jersey. Helping others to learn is Sister Mary's passion and motivation for volunteering at the Center. She would like our readers to know that the Passaic Neighborhood Center for Women fosters an "atmosphere of love and concern where the less fortunate are welcomed and given the opportunity to acquire knowledge and new skills." During National Volunteer Week we say, "Thank you, Sister Mary Culhane, for your dedication to and love for the women of Passaic!" God, we thank you for our volunteers as we take a moment to appreciate the many talents and gifts they share with the women of Passaic. We are grateful for their extraordinary commitment to this ministry, for their compassion and empathy, and for your love which they share freely as they do your work within this ministry. We pray for their continued good health and happiness and for an increase in their number, as we continue to serve those in need at the Passaic Neighborhood Center for Women. Amen. While this proclamation might be overused, we truly know this: We cannot do it without them. THANK YOU, VOLUNTEERS!